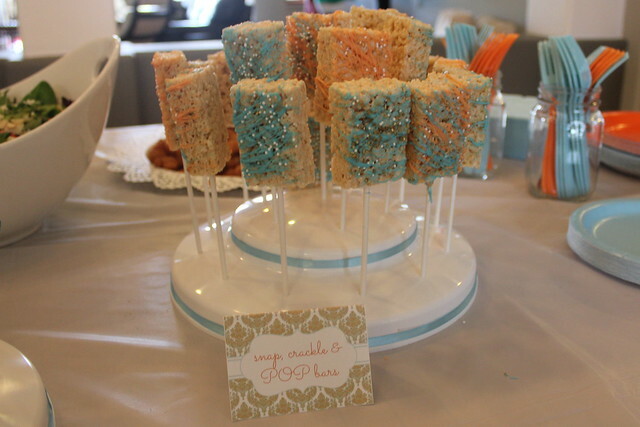 A couple weekends ago, a few girls and myself had the opportunity to throw a baby sprinkle for our friend Michelle and baby Hudson, due next month. 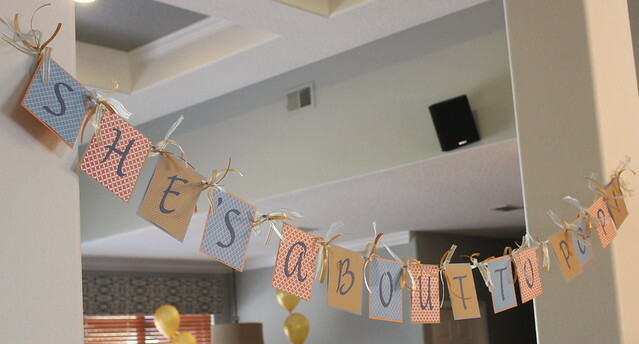 Our theme was “She’s about to POP!” and we had so much fun with it! 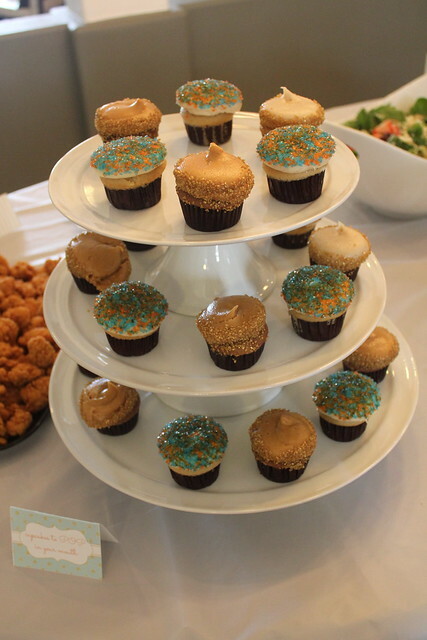 Our color scheme was blue, orange, and gold. 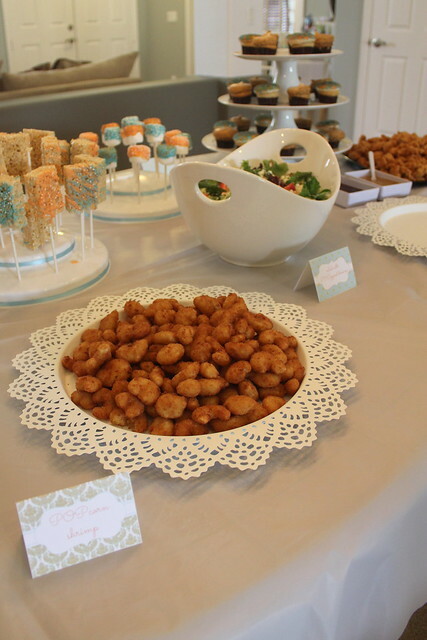 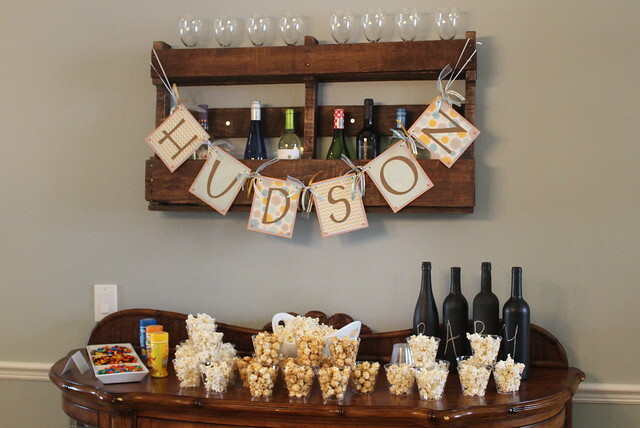 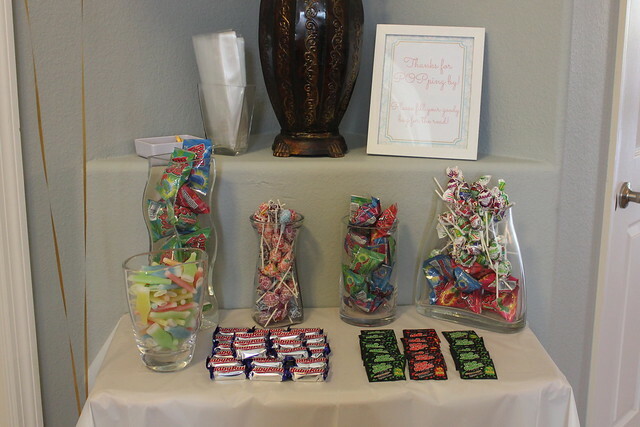 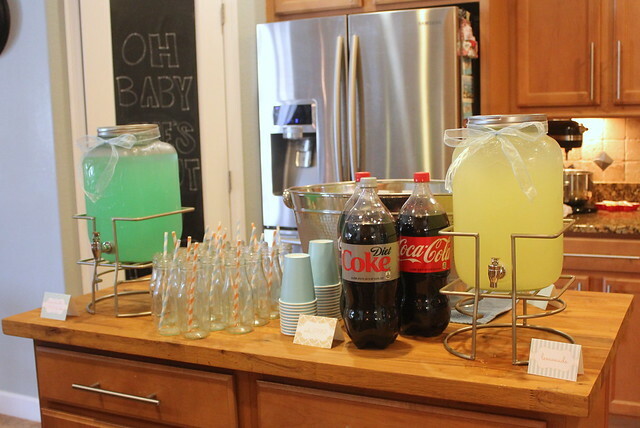 For the favors, we decided to set up a candy bar to thank everyone for popping by. 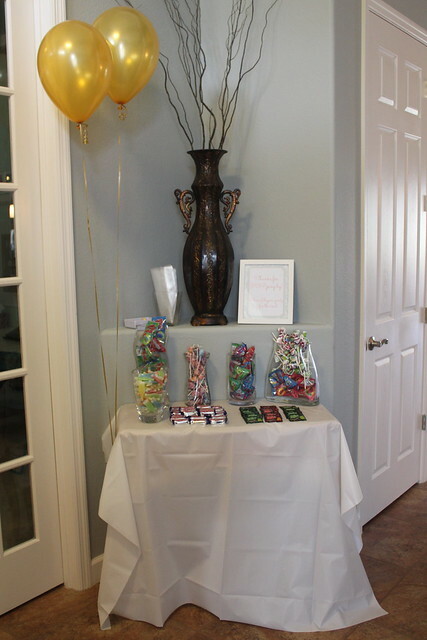 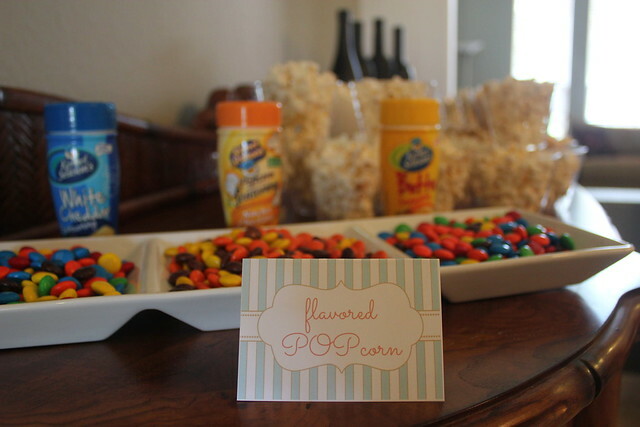 Candies included ring pops, lollipops, wax soda pops, pop rocks, and baby ruth candy bars. 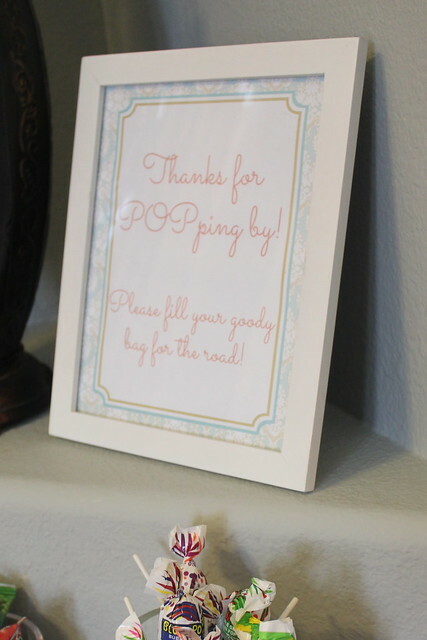 The invitation we chose was from Etsy and food cards were from Pics and Paper. 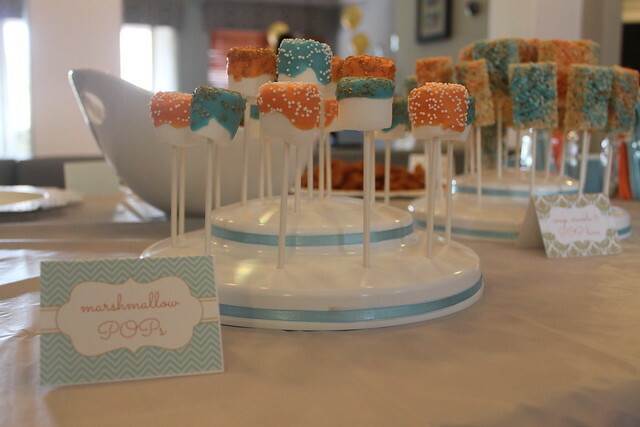 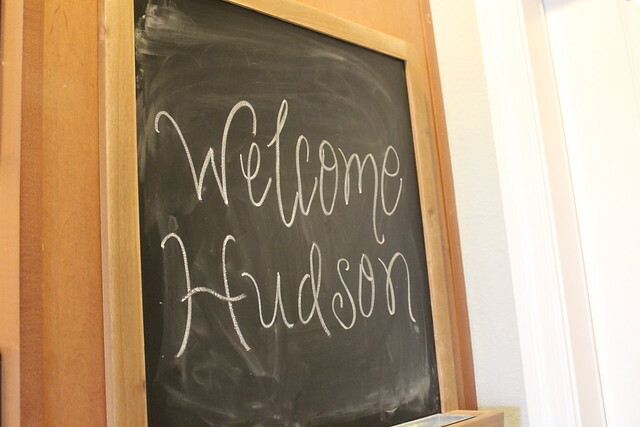 We had so much fun celebrating baby Hudson and Michelle who is about to pop!